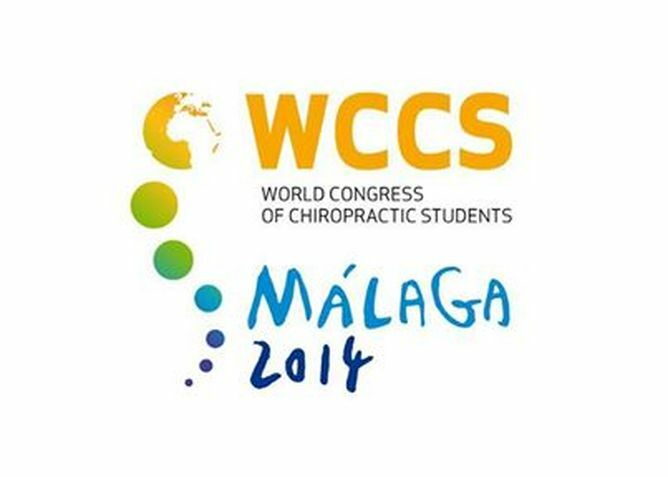 The 2014 World Congress of Chiropractic Students (WCCS) Annual General Meeting was recently held in Malaga, Spain from 25th March-2nd April. 130 chiropractic students representing 23 chiropractic colleges from across the globe came together for a week of inspired growth, leadership and inspiration. This, the 36th AGM was unlike any other and was nothing short of incredible. For the first time ever, the AGM was hosted by two colleges; the Barcelona College of Chiropractic (BCC) and the Madrid College of Chiropractic (MCC). The historic surrounds of Malaga perfectly facilitated what was anticipated to be an expansive and future focused Congress. This year the New Zealand College of Chiropractic (NZCC) sent a fresh faced team of 7. Ali Schwarz (4th year), Alyshia Turner (1st year), Andrew McCracken (2nd year), Kara Leech (2nd year), Kudzai Zvenyika (2nd year), Shira Michaeli (1st year graduate) and Sonya Coakley (1st year) were elected. The only members of the team with previous Congress experience were Shira and Ali. The team worked hard and were purposeful, focused and held NZCC’s core values of “gratitude, integrity, vision, excellence and love” close to their hearts and these values shone through in everything they said and did during their time in Spain. Congress opened with a welcome from the presidents of BCC and MCC; Drs Adrian Wenban DC and Ricardo Fujikawa DC. This was followed by presentations by the Board of Directors on WCCS’s presence at various international meetings including; the National Board of Chiropractic Examiners (NBCE) leadership forum, the World Health Assembly (WHA), the European Chiropractors Union (ECU), Council of Chiropractic Education (CCE) meetings and the National Chiropractic Leadership Conference (NCLC). What was clear from these presentations was that the WCCS has taken great strides in recent years to ensure the organisation is moving forward and growing from strength to strength. The rest of the week saw the congress floor privy to proposals, discussions and a vast array of international speakers. This year, NZCC presented two proposals to Congress. Both were well received by congress and approved unanimously. The first focused around encouraging all WCCS proposals to include SWOT analyses of their topic. The second was focused around WCCS and global Chiropractic unity and is called the “WCCS Annual Collective Focus.” This idea will see WCCS international undertaking the same community outreach events across the globe each year and will serve to present united front to the profession internationally. Other proposals addressed the need for transparency, greater understanding and progress within WCCS, chiropractic education and the profession itself. The potential of WCCS and its members is infinite and all proposals this year honoured this potential by pushing limits, stretching imaginations and putting visions into action. a Congress none of us will soon forget. Finally, Congress elected a convenor to host the 2016 AGM which will be Institut Franco-Européen de Chiropraxie (IFEC) in Paris, France. The Western Pacific Region has grown in leaps and bounds and was one of the strongest, most united regions at Congress. The region consisted of NZCC, Royal Melbourne Institute of Technology (Melbourne), Macquarie University (Sydney), Murdoch University (Perth), Central Queensland University of Australia (MacKay), the International Medical University (Malaysia) and the Tokyo College of Chiropractic (Japan). The awesomeness of the Westpac region was evident with RMIT winning the Best Delegation Award; an award NZCC was honoured to receive last year, and our own Shira Michaeli being elected to the WCCS Board of Directors. Shira will serve as the Western Pacific Regional Representative and the Secretary WCCS International. This year was the first year that the WCCS AGM coincided with the ChiroEurope conference; the biggest vitalistic chiropractic seminar in Europe. This experience brought about many opportunities for students to mingle with the profession’s movers and shakers, attend presentations and promote WCCS’s contribution to the chiropractic profession. It was an opportunity that NZCC took full advantage of, building new professional relationships and upholding the ambitious and influential reputation of NZCC. The week was momentous, empowering and awe-inspiring. Delegates departed with heightened aspirations to dream more, do more and be more. WCCS’s commitment to its purpose and vision was evident and the organization’s exposure to the wider profession was undoubtedly impactful. We continue to hold true to our potential and capacity to inspire action through unity, passion and a collective commitment to shift global consciousness through chiropractic. The NZCC Chapter is looking forward to the 37th Annual WCCS AGM in April next year in Atlanta, Georgia and for Paris in 2016. We are excited about continuing our legacy as one of the hardest working and most inspirational delegations at Congress and are incredibly appreciative of and humbled by your support.